If you own your commercial building and property, you have a lot of leeway regarding when and how often to schedule HVAC maintenance for your air conditioner and heating system. But if you are leasing the premises for your company's commercial use, your lease will then dictate what your tenant responsibilities are in these areas. Some leases place all responsibility on the tenant, while others may split the chores between landlord and tenant. 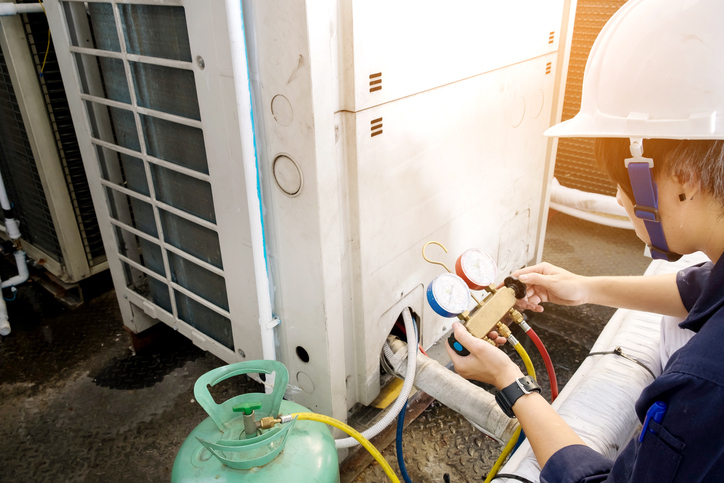 Commercial attorneys emphasize the importance of tending to tenant HVAC maintenance and repair responsibilities as a safeguard in the event of a major system outage. In this post, learn more about commercial tenant HVAC responsibilities and what to expect when you schedule your fall commercial HVAC maintenance. In many cases throughout Canada, a commercial lease tasks the tenant with scheduling routine HVAC maintenance. However, all too frequently, the actual wording in the lease can make it unclear how often to have this maintenance done as well as where the line is drawn between maintenance and repairs. For example, let’s say your lease specifies that you, as the tenant, are responsible for limiting wear and tear on your HVAC system that extends beyond the normal rigours of daily use. Hmmm. This is rather vague! Does that mean you should schedule HVAC maintenance once per year? Twice per year? More frequently? And what happens when a routine maintenance check reveals the need for more extensive repairs? Who pays for that, the tenant or the landlord? Here, it is an excellent idea to have these conversations with your landlord up front, documenting in writing exactly what your responsibilities are regarding maintenance frequency, minor and major repairs, events beyond your control, and similar issues. It is also vital to keep written documentation of each maintenance and repair estimate and invoice so you can show your landlord proof, if necessary, that you have fulfilled all of your obligations as a tenant under the lease in regard to proper upkeep of your HVAC system. This will support your case in the event that the HVAC system your building or unit is equipped with requires major repairs that clearly reflect unit age, past poor maintenance, prior tenant system abuse, environmental damage, and similar other factors. After all, why should you have to pay for damages and repairs that were caused by someone or something else? Finally, you should be sure your landlord gives approval for the company you select to do your HVAC maintenance. Here, look for a specialist that maintains proper accreditation through the Better Business Bureau (BBB), has highly trained, licensed, and insured technicians, and offers up-front pricing and service guarantees. Before scheduling the appointment, get your landlord’s approval of the company you select and document this approval in writing in the event of a major HVAC repair issue later on. This is definitely a topic to discuss with your landlord, but as a general rule of thumb, HVAC specialists recommend scheduling two maintenance service calls per year: one for your AC unit and one for your heating system. The former should be scheduled for late spring just before the warm season launches. The latter should be scheduled for the early fall, just ahead of when the cool season rolls in again. This way, you catch any air conditioner or heating repairs while they are still minor—small things like tightening a bolt, replacing a worn part, adding lubrication where needed, checking for secure and safe electrical connections, and pilot light ignition. Why is this the wise choice? Let’s say a belt snaps and this causes a ripple effect that ends in a total system shut-down. You call in the pros and are told the entire fan blower needs to be replaced. Now you have to talk with your landlord about who pays. You can’t afford to be without temperature control for too long or your business will be negatively impacted. So you want to be able to promptly produce documentation to show you had that system maintained on a regular basis, and that the last routine service check showed no signs of any issues with the belts or pulleys. While this may not completely end a dispute regarding a high-ticket HVAC repair item, it can clearly stack the deck in your favor and make it easier to come to a workable arrangement. In matters like these, the more preventative maintenance you do and document, the better! Clean and inspect the exterior and interior of the unit. Perform tune-ups, minor repairs, small parts replacements, adding refrigerant and parts lubrication as needed. Complete a safety check to rule out leaking gases, rusted components, poor electricity connections, clogged air filters and interior systems, and similar other matters. Test the thermostat to verify temperature accuracy. Offer tips for future and ongoing preventative maintenance to extend the useful life and energy efficiency of your system. Prepare and submit a written evaluation of your system. It is also important to keep a running record of basic maintenance tasks, such as changing out air conditioning and furnace filters, emptying drain pans, clearing pipe clogs, cleaning debris away from air registers, and cleaning vents and condenser/evaporator coils. With this level of ongoing documentation, you can make a very strong case for a major repair or even a total unit replacement if necessary during your tenancy. Here at Shipton’s Heating & Cooling, we have nearly a century of local expertise serving our commercial and residential HVAC customers. 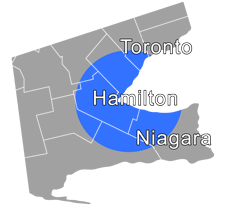 Give us a call at 905-549-4616 to schedule your maintenance appointment!